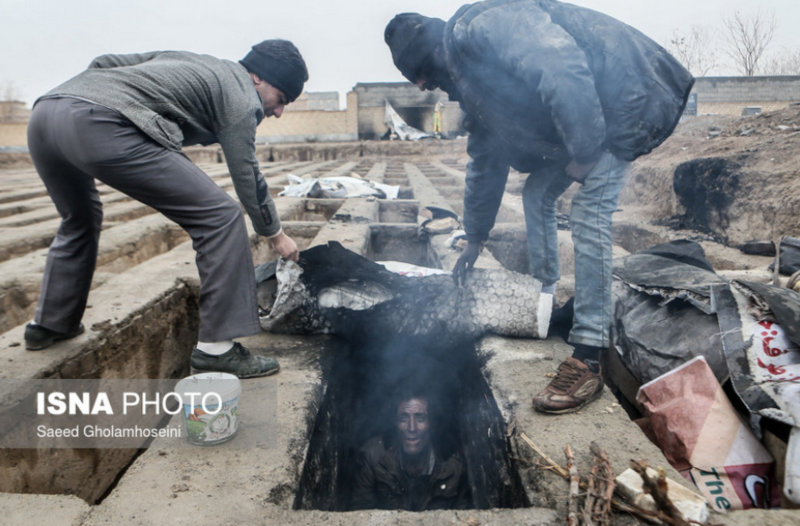 One of the viral images of Iran's homeless population taking refuge in graves outside of Tehran. Image by Saeed Gholamhosseini for ISNA news. Published with rights to redistribute. Images of homeless people in Iran taking refuge in empty graves outside of Tehran have shocked Persian social-media users, leading to outrage and calls for the government to intervene. Since the story broke, Iranians have been discussing it heatedly online. One anonymous Twitter user called “Maktoub” quoted an ironic line by the founder of the Islamic Republic, Ayatollah Khomeini, saying, “I prefer the ‘slum dwellers’ to the ‘palace dwellers. '” The irony of this statement was shown in the juxtoposition of an image of a homeless man living in a grave, with the image of the palace-like shrine, built with government money, that houses his tomb. 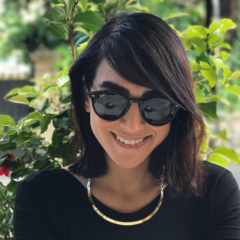 An Instagram post by Iranian artist and cartoonist Bozorgmehr Hosseinpour (seen below) has garnered significant attention on Persian social media, as well. In addition to some controversial remarks about sterilizing the homeless to prevent them from bearing children, Hosseinpour expressed his frustration that no one paid attention to Iran's ongoing homeless problem, until the viral grave images were published. Oscar winning Iranian filmmaker Asghar Farhadi was another notable voice to cry out in outrage at the notion that Iranians had to take refuge in graves to survive the winter. In an open letter penned to President Hassan Rouhani, he exclaimed he was ashamed of his country. The President was quick to respond, agreeing with Farhadi that these conditions are unacceptable. Other members of the government, such as the governor of the Province of Tehran (the viral images were taken in the surrounding areas of the city of Tehran), say homelessness is part of a wider problem with drug addiction. There has been some concern that the public's sudden attention to the grave sites will expose these individuals to government abuse, as officials try to remove them in order to resolve the “graveyard” problem superficially. As reported by BBC Persian, Hashemi claims that many of the individuals found living in homeless conditions refuse to go to rehabilitation facilities for their addictions. The governor also insisted that no homeless persons are being abused by the government. بسیاری از این افراد از رفتن به کمپ‌ها خودداری می‌کنند. برهمین اساس ممکن است هنگام جمع‌آوری مقاومتی از سوی آنها صورت بگیرد اما در مورد گورستان نصیرآباد به هیچ عنوان در جمع‌آوری آنها بحث کتک زدن تایید نمی‌شود. A number of these individuals refuse to go to camps. This is why it is possible that while they were being detained there was some resistance between them and authorities. But in the case of Nasir Abad cemetery there are no confirmed accounts that they were physically hurt while they were being collected. The leaders of Iran have failed the Iranian people. The mullahs have heaped three decades of war, misery, harsh religious rule and unrelenting brutality on Iranians. Iran is now first in the world in per capita executions and only second to China in total executions. It also leads the world in children executed. It passes laws stripping women of basic rights and now it funds wars in three countries. Plus its leaders are corrupt, stealing money, controlling state industries and steering profits to family members.